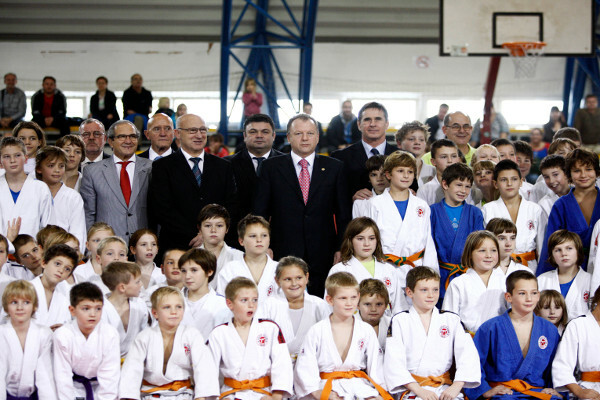 World Judo Day was celebrated all day long in Hungary as the Hungarian Judo Association looked back on their highly-successful year by making a number of special presentations. Dr. Laszlo Toth, MJSZ-President of the Hungarian Judo Association, gold grade of awards Ministry of May, Budapest European Championships providing outstanding support to Human Resources representative, Norbert Kiss, Deputy State Secretary Laszlo Szabo Zsolt, the Media Service Support and Asset Management Fund (MTVA) acting CEO and the Hungarian Electricity Works by Anthony Smith Olympic champions, communications director of the Paks Nuclear Power Plant. "This may be the Hungarian Judo's highest honour, the work in the federation of Europe was recognised when the ECJ held so far has called the best in Budapest,” said Dr. Laszlo Toth, adding similar support for trust to be held next June 20th and 21th for the first Budapest Grand Prix too. A great show dedicated to the World Judo Day 2013 was organised in Ukraine, Donetsk by Judo Federation of Ukraine and Judo Federation of Donetsk Region. The 2013 event was the third edition of the festival which unites four tournaments: for juniors, veterans, 20th International Zuser Tournament and Ukrainian Open Championships. Over 600 athletes from the age of 9 to 85 years old from Europe and Asia came to show their skills. 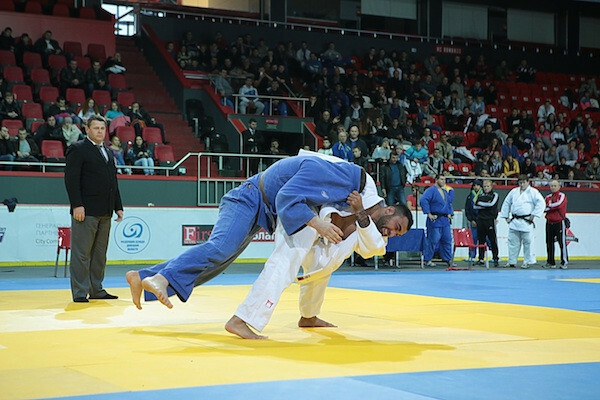 The festival brought together thousands of fans and gave guests an unforgettable sport show featuring international stars of judo that came to fight for the victory in the Ukrainian Open Championship. 22 honoured judokas from 10 countries came to Ukraine for the first time, among them: Ilias ILIADIS (Greece), Roy MEYER (Netherlands), Adam OKRUASHVILI (Georgia), Yuri KRAKOVETSKY (Kyrgyzstan), Marius PASKEVICIUS (Lithuania), Andrey VOLKOV (Russia), Alexander VAHOVYAK (Belarus), Boltaboy BOLTAEV (Uzbekistan), Daniel NATEA (Romania), Stanislav BONDARENKO (Ukraine), Artem BLOSHENKO (Ukraine). The winner of the Ukrainian Open Championship was Artem Bloshenko (Donetsk, Ukraine) who defeated Ron Meyer (Netherlands). The bronze medallists were Marius Paskevicius (Lithuania) and Alexander Vahovyak (Belarus). At the same time in Kiev the Championships of the World Judo Day 2013 was organised for more than 100 juniors by judo school Ippon. Young judoka from the age of 8 to 11 years old were supported by both by their parents, trainers and special guests: Olympic judge, state coach of Ukraine, Sergey Gayday as well as the legendary Ukrainian judoka, who won the first Olympic bronze medal for Ukraine at the Olympics in Sydney in 2000 - Ruslan Mashurenko. 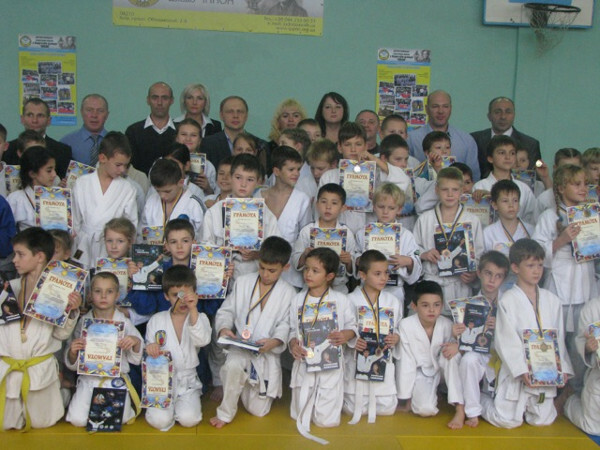 Winners of the Kiev Championships were awarded by medals, diplomas and valuable gifts. 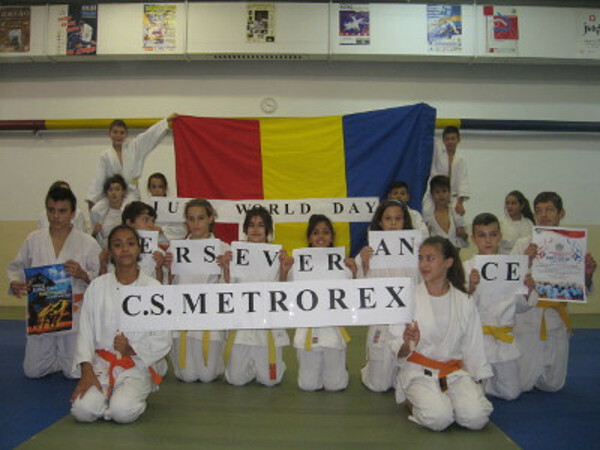 Judo Club Metrorex in Bucharest, Romania, celebrated World Judo Day at the club’s dojo together with judoka, parents, grandparents, teachers, colleagues and other judo friends. The guests were delighted with a demonstration of gymnastics, ukemi, judo and kata techniques. 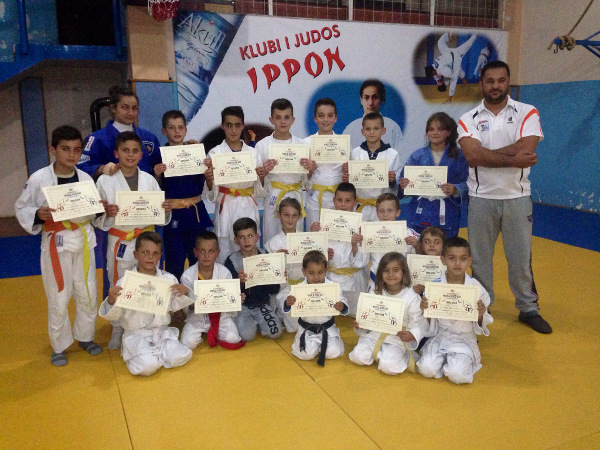 Judo Club Metrorex is very proud of their judoka who prove perseverance by being serious, participating in all the training sessions and by delivering good results in all the competitions. 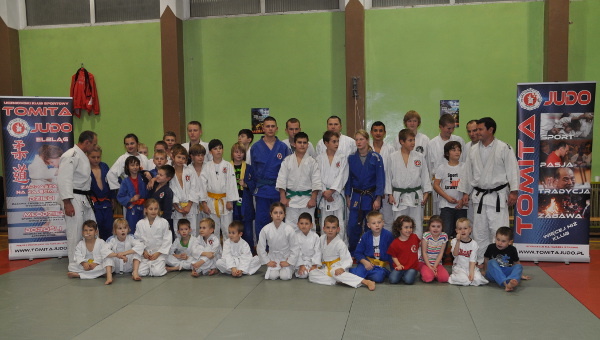 The atmosphere was very friendly and at the end all judoka received a diploma and took pictures with their judo family. 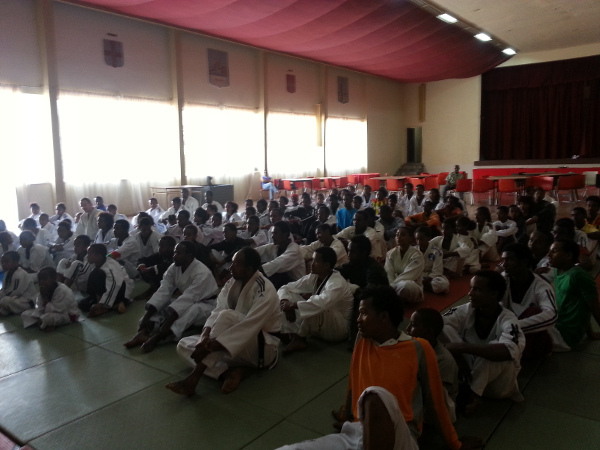 The Djibouti Judo Federation took judo to the commuity with great success for the World Judo Day. There was also a presence of the Japanese Coast Guard in a transition to Djibouti. 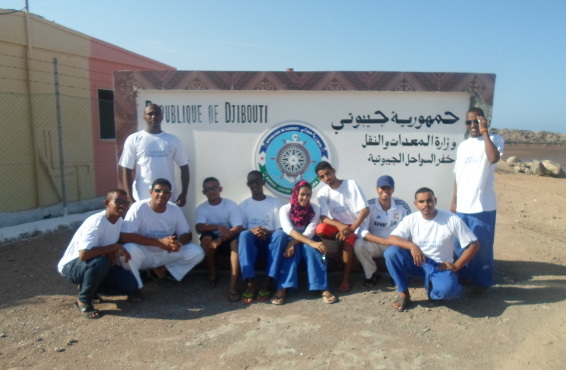 The judo demonstration led the organisers to obtain permission for the creation of a judo club for grades Djibouti coast. 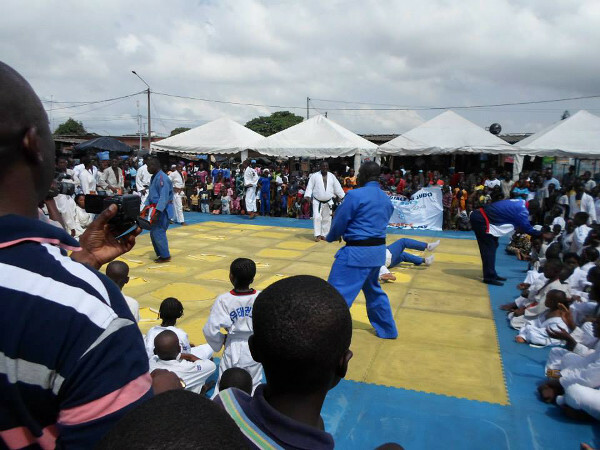 The Ivory Coast Judo Federation took the Olympic sport to the community for a special demonstration which attracted a huge crowd. Judoka of all ages and skill level took part as they entertained the crowd and left a lasting impression with the young children who stood around the tatami. In Croatia, the World Judo Day was marked with a reception in the residence of the Croatian President, Mr. Ivo Josipović for the Croatian Judo Federation. 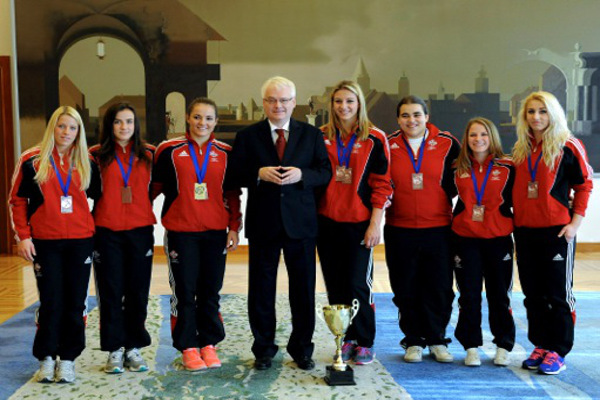 Their delegation was led by the President, Mrs. Sanda Čorak, and winners of the bronze team medal from the Junior World Championships, held recently in Ljubljana, Slovenia. Judo is surging in popularity in Croatia with success at the elite level and in 2013 they held their first Judo Grand Prix in Rijeka. 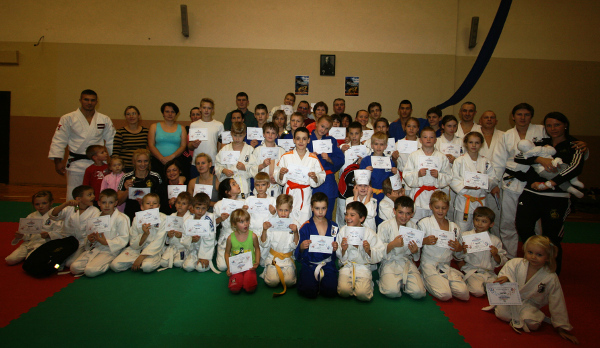 Children at Judoklub Krems trained together with the spirit of the World Judo Day as the club’s young ranks were in their element celebrating the sport they love. Kosovo’s first world champion in any sport, Majlinda Kelmendi, visited local schools with her 2013 gold medal to inspire the next generation of budding judoka. Kelmendi presented World Judo Day diplomas to the participants eight weeks after returning from the World Championships as a national hero and being greeted by 20,000 people in the city of Peja where she lives and trains. There was games for the children to play to help them learn about this year’s theme of ‘Perseverance’ and the young judoka had the opportunity to hear from their idol Kelmendi what it takes to be a champion and how much one must persevere to achieve their dream. The Mongolian Judo Association, which is one of the 200 member nations of the IJF, held a range of activities including a judo clinic with their first world champion Munkhbat Uransetseg who won gold this year in Rio. Uransetseg was joined by world silver medallist Amartuvshin Dashdavaa and the duo demonstrated their fantastic skills before signing pictures for their young fans. 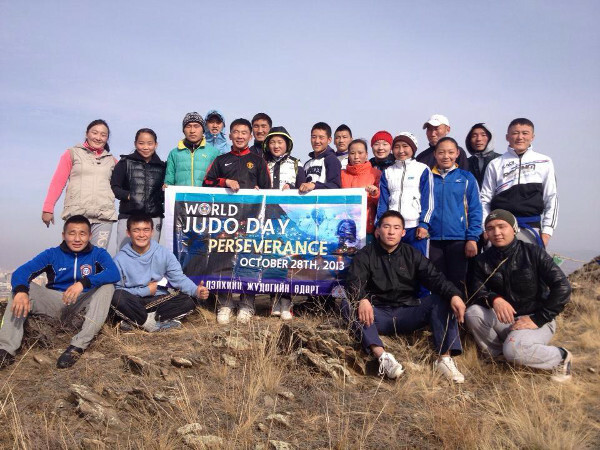 Two new training venues were opened in Khan Uul District and Baganuur city about 150 km from Ulaanbaatar Capital of Mongolia while a group of University judo students climbed to the top of Bogd Khan mountain to send wish the judo family a “HAPPY WORLD JUDO DAY!”. Judo Club KYODAI joined the huge family of judoka all over the world to celebrate the World Judo Day together for the third year in a row in Riga, Latvia. In a very positive atmosphere children with their parents participated in a special one hour long training session, doing warm ups and acrobatic exercises. The young judoka were very happy to fight with their older teammates, coaches, mothers, fathers, older sisters and brothers. Then, after splitting in family teams, the task was to provide answers to ten questions on important events in our club. 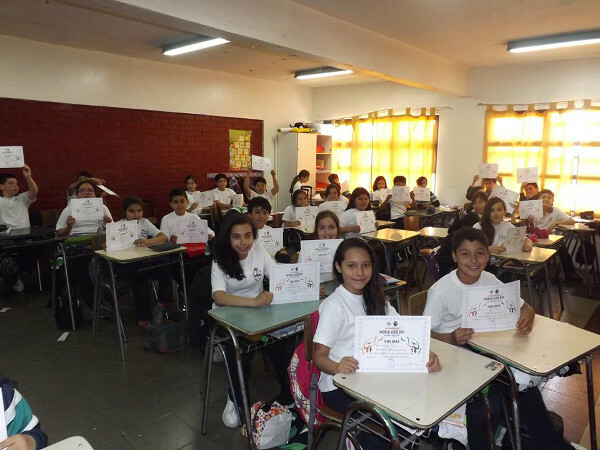 The best team was awarded with medals and backpacks with the logo of the club while every participant received a special international certificate. 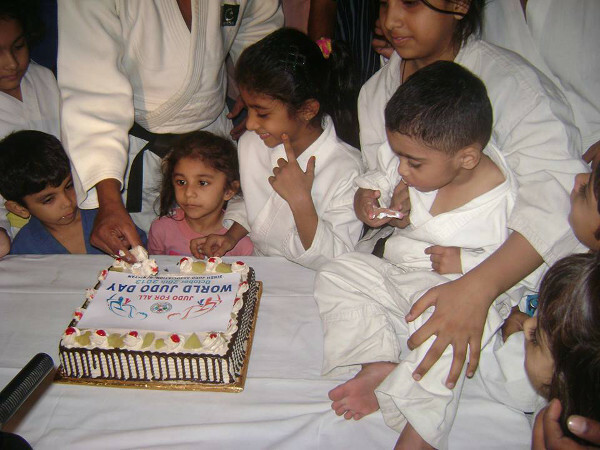 At the end of the event everyone enjoyed the special treat – a wonderful World Judo Day cake. The French Polynesia Judo Federation celebrated World Judo Day for the first time this year and after such a positive experience have said that they will “stick on the event every year from now on.” Judoka from the age of 4 to 60 were on the tatami for a memorable celebration which featured a nage no kata demonstration. All the children and adults were happy to be there for the special and first time celebration and they were all proud to get their diploma at the end of the session. 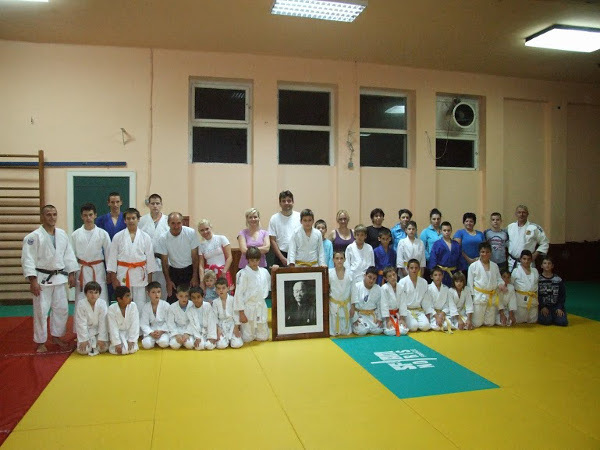 Shingitai Judo School of Reus organised a training session dedicated to the memory of the great master Jigoro Kano who was born on 28 October 1860. 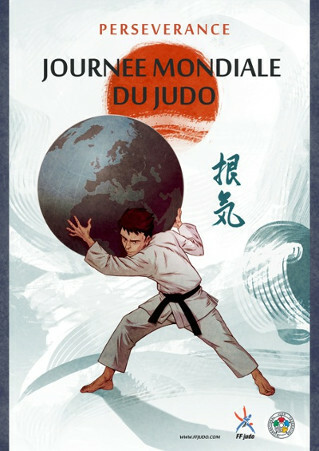 The French Judo Federation has organised conferences in all regions with their own poster from the graphic designers of the Comic books Festival of Angoulême. Martial arts like Judo Have the Unique Ability to attune mental strength by Promoting calmness, directness and perseverance. Enhancing mental strength through sports can aid in the decision making process in everyday life and the fulfilment of personal objectives. I think without perseverance you can't succeed in judo. For example I was working for a long time on a specific technique. I felt it was really good but I had never used it in a fight. I kept working on it and one year it took me till I used it during a competition. Without perseverance I don't think it's possible to succeed for a long time in judo, or in your job, studies, or any other goal in your life. Even when it's hard, it is perseverance which helps you reach what you really want. I think that perseverance is the first quality of all champions. I think perseverance is a huge part of judo. There will always be ups and downs in every career but a champion is defined by those who persevere through the challenges. A champion is someone who does not give up. And judo teaches that and allows us to apply that in all areas of our life. For me perseverance is to be able to cope with disappointments. Everyone faces deceptions one day or another, the important thing is not to be defeated! Defeats are necessary for learning to know who you are. Perseverance is a very important quality to be able to stand up again and come back stronger! It is the little speech my dad gave me as a young man! Perseverance means never give up chasing your dreams. Life isn’t always easy. From time to time you face obstacles, setbacks or even failure. These are the times you need perseverance. But once you've overcome those difficulties and you then achieve your goal the success feels even better because you've earned it. 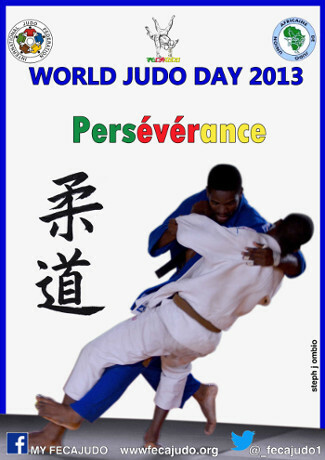 In judo perseverance is essential. For once you are never done. You've never learnt everything. There is always something to master. Perfection is not a state of mind but a steady progress. Also, in judo perseverance pays off. At least for me. Judo has always been my passion but only my persistence, sometimes stubborn ambition to improve has brought me where I am now, a World medallist at the age of 31. It definitively took me longer than most others, but here I am. I didn’t give up, I followed my heart and I keep working hard to chase my dream of becoming Olympic Champion. Perseverance for me is the essence of judo. To fall down and to get up: that's what we all do in judo! Do not let go, do not admit defeat has been and remains my motto whether on or off the mat. And nothing to do with misplaced stubbornness, but just the desire to give my best to go to the end of myself, to ultimately be able to look me in the eye! Perseverance is seen in our daily of training, therefore whoever grits one's teeth until the end reaches the victory. Judo teaches us that we need to learn to fall and to rise again and we take this for all the aspects of our life. Perseverance is very important in judo because all the time in judo we suffer wins and losses, we need to move forwards and never give up. Those who persevere will succeed. Perseverance for me it is a word that characterizes everyone in what he/she undertakes with insistence and faith as a project in life especially in a hostile environment. In the framework of judo, it characterizes a state of mind, a commitment and sacrifices which are going together in order to achieve ones goals by overcoming the obstacles on the path to success. There is also a word in the moral code that's akin to perseverance and this is COURAGE. Perseverance is a vital part of a successful judoka due to the fact that in order to succeed you must persevere through tough training sessions, pain, losses, dieting and the highs and lows of competing. Leadership, teamwork, perseverance, discipline and grit. Who knew, as children playing games in the schoolyard, that we were gaining attributes that would guide us through life? Athletes have known it all along. 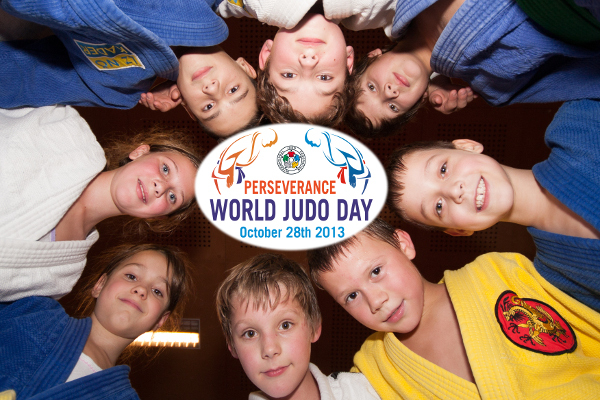 So it is fitting that this year’s theme for the World Judo Day is PERSEVERANCE. Perseverance means going after your dreams! Setting goals and making every effort possible to achieve them. In defeat we must draw lessons for the future! It is important not to get demoralised or to lose hope despite the failures! Judo is a tough sport that requires a lot of sacrifices but when you manage a good result it's worth the effort! As President of the Botswana Judo Federation, I have been toying with ideas for this year’s event, which will make a lasting impact not only on the judo family but also to the public in general and I started reflecting on the word perseverance. As a female leader in the sporting world, I was reflecting on what it takes to be a leader in today’s life and the meaning of perseverance, "continued steady belief or efforts, withstanding discouragement or difficulty; persistence". I realised that this is such a relevant word, not only on the tatami and as a leader but also in our daily lives. My own perseverance in adverse times during my leadership roles in sport, was attested to at the recent IJF Congress in Rio, when I was awarded the IOC Woman and Sport Achievement Diploma. We all face difficulties and adversities in life no matter how big or small, often times we feel like throwing in the towel and that is when perseverance kicks in. If the road is easy and free of bumps, you’re likely going the wrong way. The bumps in the road teach you what you need to know to progress down a path that is all your own. Sometimes things have to go wrong in order to go right. Sometimes you need to change a flat tyre or two before you can move on. Your journey isn’t supposed to be easy, it’s supposed to be worth it. To never struggle or face adversity is to never grow. There is no perfectly smooth road to anyplace worth going. It’s these types of hurdles that hit you and you got to somehow overcome it. Those big ones are the ones that can make you a stronger person and can be life-changing when all is said and done. No matter what life throws at you, remember perseverance and the right attitude will get you through anything. 20 years of practise and I’m still working on my uchi-mata. Start at 50 and first Dan by 55. I am on my way. When sweat is dripping from your nose-tip and the pressure of your opponent is very present, and you take all your speed and strength and not least motivation to win. And just go perfectly "back to basic" and win that match with a perfect throw or good ne-waza technique. Stand up each time that I fall, En español seria "Levantarme cada vez que caiga"
Learning more techniques and having discipline. "Difficulty and delay in achieving success" are pretty much a given in judo, so I'll go with "steadfastness". Constancy in the pursuit to overcome their own limits in any aspect as judoka without surrender to the pain and/or the time. Achieving your goal without effort means you did not set yourself the right goal. Where’s the fun? Only a goal that will take you through a long and painful journey will help you discover yourself and overcome your weaknesses. So perseverance is understanding that the road to achieve a difficult goal might be long and full of difficult turns, but will help you become a better person, and is therefore always worth it. Perseverance is determination to never give up and the willingness to success. Perseverance is having faith in ourselves! Marti Malloy. Won a World Medal at her fifth World Championships. They say if at first you don't succeed; try, try, again. Marti tried, tried, tried, tried, tried again and came away with a silver medal. The Sindh Judo Association in Pakistan staged a training session with special guest Mr Ahmed Ali Rajput Secretary, Sindh Olympic Association, watching the action. After the session the group shared a World Judo Day cake. 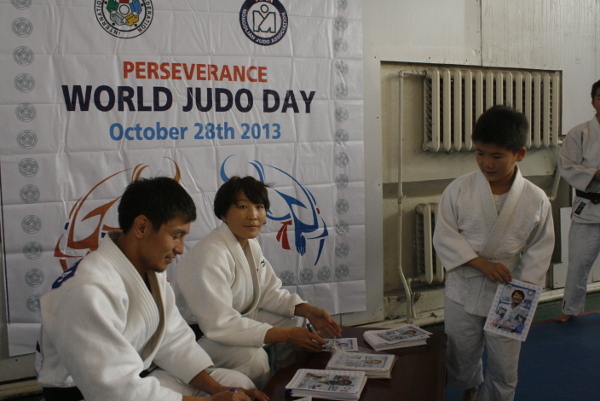 World Judo Day was celebrated in Addis Ababa, Ethiopia with a special seminar. 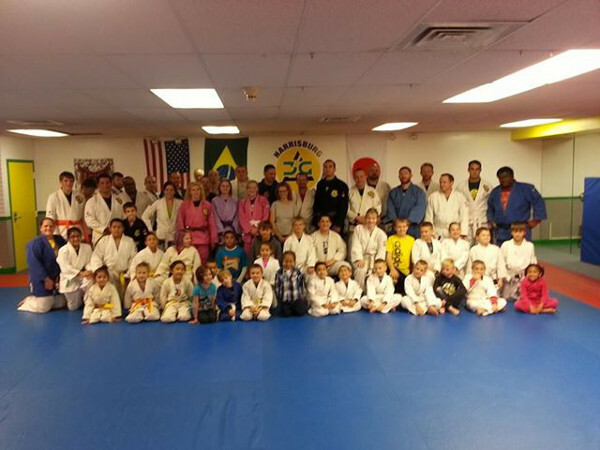 More than 160 athletes attended the special seminar instructed by Grand master Regina Monti Daxbacher. 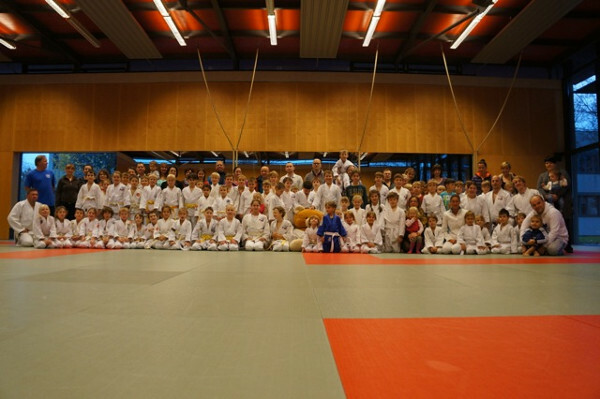 The Polizei-Sportverein Königsbrunn Judo Club (Bavaria, Germany) practiced with more than 200 judoka, as parents and friends paid their tributes to this year’s theme of "perseverance". 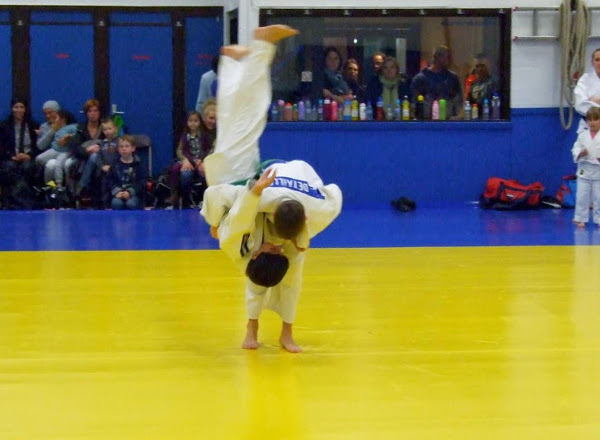 The winners of the "Best policesportsclub of Germany in 2012" participated even in their third World Judo Day after "Respect" and "Judo for All" in 2011 and 2012 respectively. 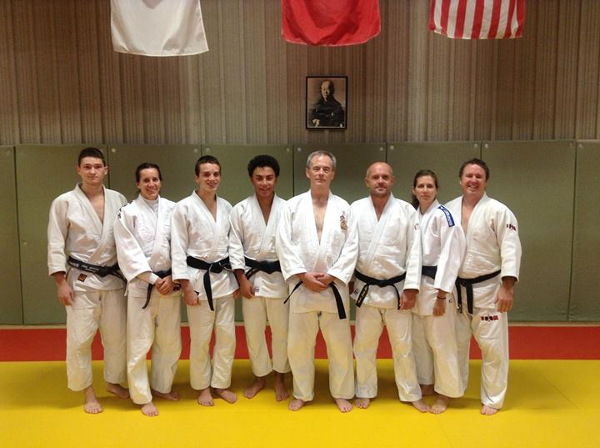 As part of the celebrations of the World Judo Day, Belgium’s Judo Club Royal Vise organised a special training session. This training group featured all the age sections of the club and also helped to answer questions from parents and especially to explain the intrinsic values of judo. Tomita Judo Club in Poland were represented on World Judo Day for the first time as children and adults trained alongside each other in a true celebration of judo. 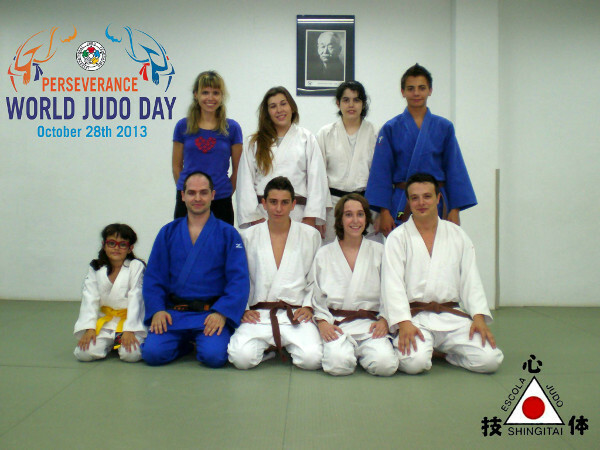 A unique World Judo Day celebration took place in Santiago, Chile as students were tested on their knowledge of the 2013 theme of ‘Perseverance’. They discussed the importance of the theme in their own lives and how the values of judo now have a fixed presence in their lives. Munster Judo Club in the judo hotbed of Ontario, Canada held a one-off World Judo Day class for their young judoka who showed their judo skills and knowledge to earn a coveted diploma. 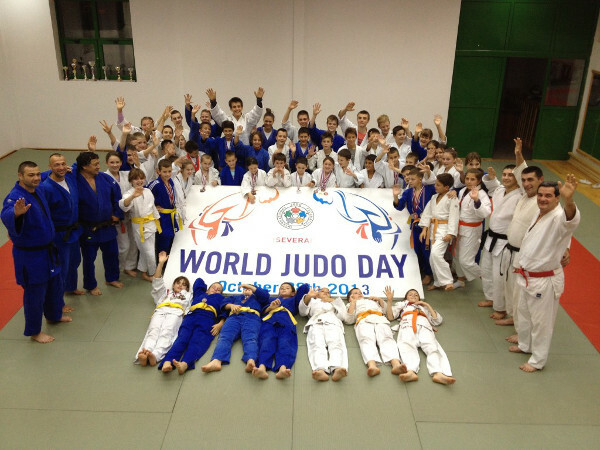 Kinezis University Judo Club in Nis, Serbia celebrated World Judo Day, “the day dedicated to our sport and to all of us who are in love with it,” said a club official. Kinezis organised a group training for all age categories, from the youngest ones to the seniors, men and women and had a great time on the tatami. 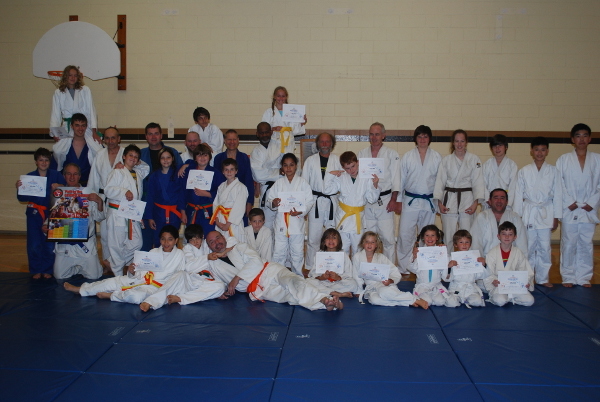 Judoka of all ages took part in randori and shared their judo experiences. Older judoka showed the educational dimension of judo through various exercises with the youngsters. 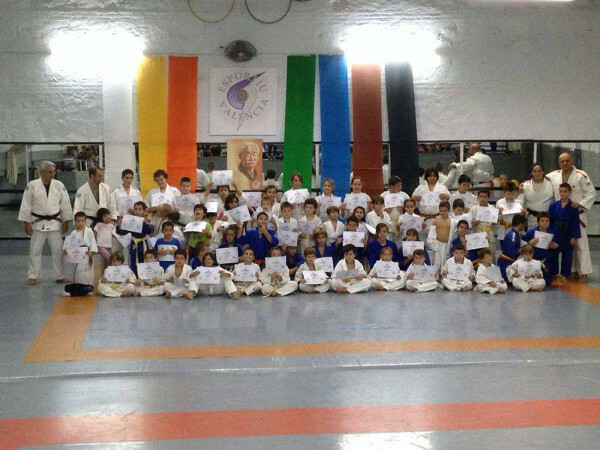 At the end of the day everyone had to write down what judo means to them and they were then awarded World Judo Day diplomas. 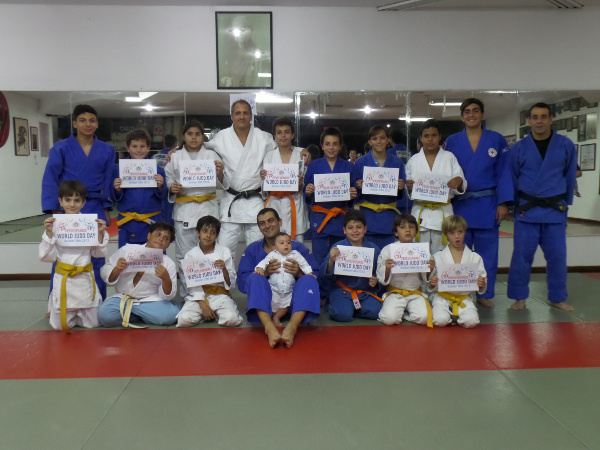 “We hope that you had a great time celebrating the World Judo Day, because we sure did,” added a club official. 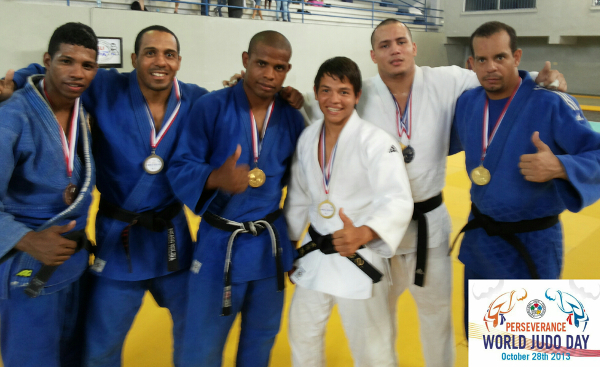 The Sports Association Leandro Fernandes (ADFL) held their second consecutive World Judo Day celebration with competitive athletes and the aim of taking judo to the community. 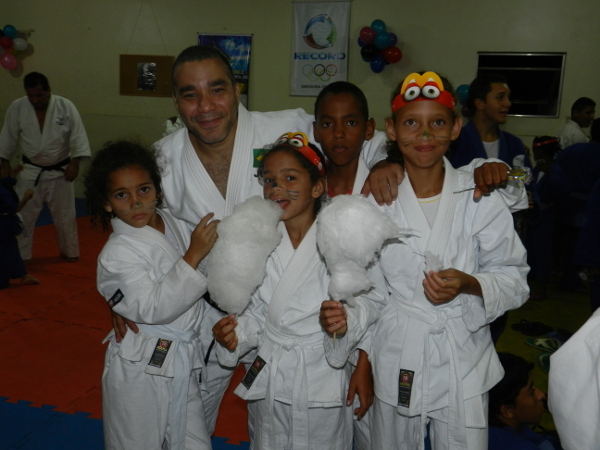 The event was held at the dojo oversight of racial equality in the city of Goytacazes state of Rio de Janeiro. 70 people attended the event between athletes, parents and guardians. An ADFL official said: “We want to thank all of the people who directly or indirectly helped us for this successful event.” The Sports Association Leandro Fernandes - ADFL was created on January 5, 2011 and has the front of the chair Professor Orlando Gomes Leandro Junior and directors Waltair da Silva Castro, Eduardo Frederico e Gustavo Luna. 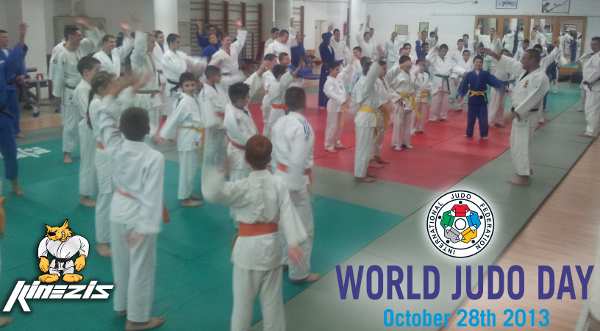 The Palestinian Judo Federation considers the 28th of October, the World Judo Day, since its initiation on the 28th of October in 2011, as a day to celebrate and promote judo education and core values across Palestine. 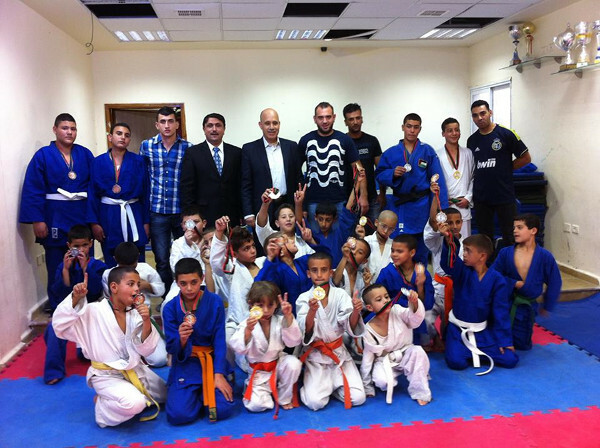 This year with the theme being perseverance, the Federation organised a judo competition for school aged children at Hilal Al-Quds Sports Club in Jerusalem to provide children with the ultimate experience emphasising on the importance of mutual respect and friendship to promote judo’s core values. 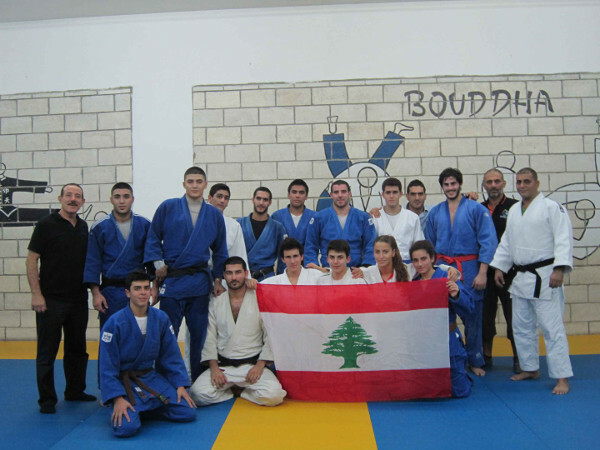 Pioneers in the promotion of judo in Palestine including the President of the Palestinian Judo Federation and judoka who represented Palestine in the 2011 and 2013 world championships organised and attended the event. All children were presented with medals as an award for their perseverance and dedication. Renaissance Judo Club "BCR" Morocco celebrated the World Judo Day with a training session and address from the Club President. As part of the address Med Abou remembered the fundamental principles and values of judo as well as the 2013 theme of "Perseverance". 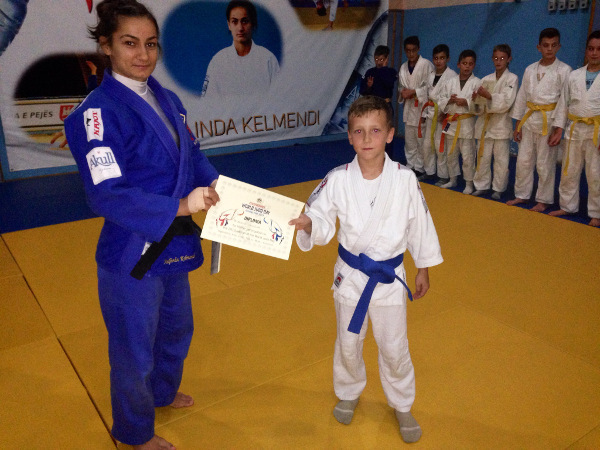 After the festivities, diplomas and posters were distributed to the young judoka. Asahi Judo Club in Kitchener, Ontario, Canada celebrated World Judo Day and Jigoro Kano's birthday with a ceremony for a Yudansha promotion. Judo Club Cement in Beocin, Serbia joined in on the World Judo Day celebrations with a club trip to Fruška Gora, a mountain in north Syrmia, before finishing the day with a special training session. 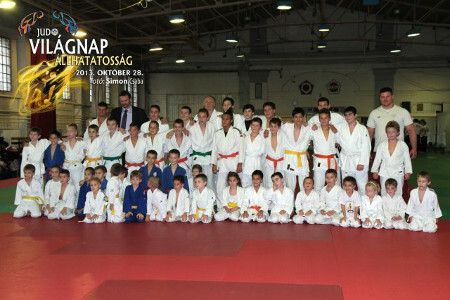 The club photographed club members of all ages in front of a large World Judo Day banner, provided by Acting President of the club, Prolic Drazen and his company "BRENDOMANIA". A nice surprise was staged by the mothers of the youngest members who made a cake for the coach of the group, Vladislav Trajanovski, for his 39th birthday. "Perseverance" is a feature of the club since, despite numerous hardships, in these 35 years of existence, they have survived and persisted. Besides the anniversary of "35 years of the Club", this year they celebrate the 20th appearance in the major league society, as the highest team competition in the state and head coach, Andrija Mumovic, is celebrating 35 years of coaching experience, all in one club, which is a testimony to their perseverance. In Cameroon, marketing material was made available from the national federation to promote activities and the sport in the African country. The country has a growing presence and passion for judo and highly-regarded judoka Dieudonne Dolassem was elected to the IJF Athletes Commission in August. 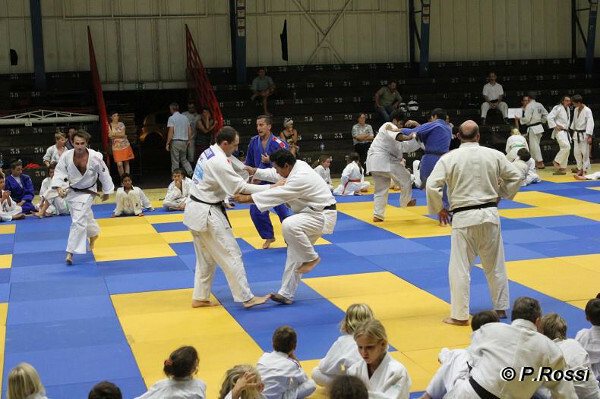 The World Judo Day was as popular as ever at Minas Tênis Clube in the estate of Minas Gerais in Belo Horizonte city. 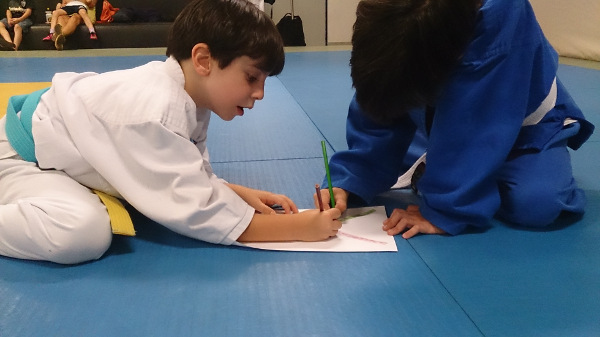 Their traditional Blue White Judo Festival was a hit with the children who prepared for the day by designing drawings of what they thought showed ‘Perseverance’ to display on the gym walls. 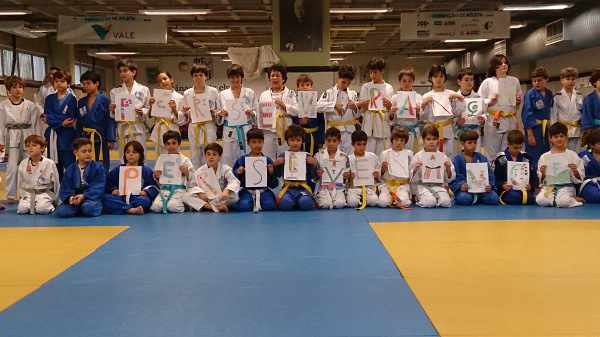 After the competition the children posed for the photos, holding the letters of the World Judo Day theme. 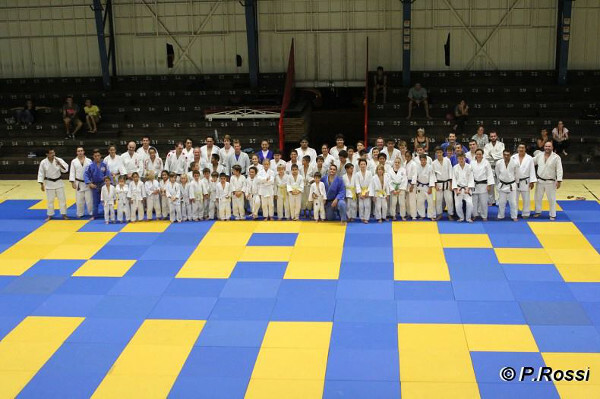 400 students practice judo in the club from 6 years old adults with Brazil standouts Ketleyn Quadros, Erika Miranda and Luciano Correa among their former pupils. 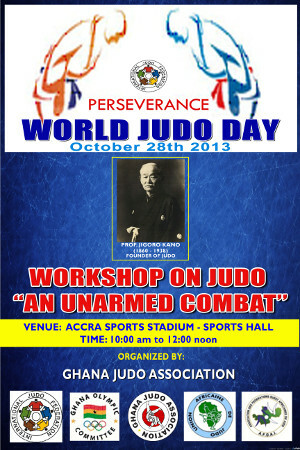 The Ghanaian Judo Association joined the world judo family in celebrating the third edition of the World Judo Day. They organised a workshop for a cross section of the Ghanaian public. Members of the Association were in demand by the media as officials gave interviews to both radio and television networks about the World Judo Day celebrations and the benefits of judo. The Ambassador of Japan to Ghana, H.E. Naoto Nakai was present as the guest of Honour at the function. 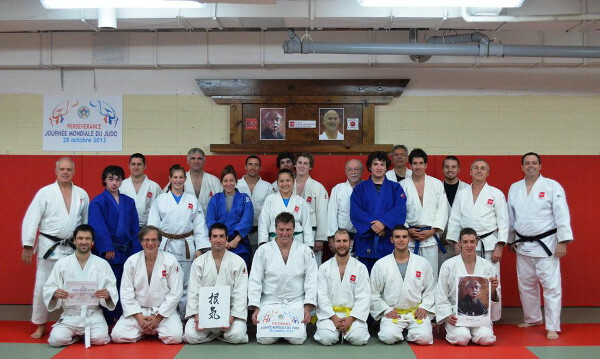 In Quebec city, the "Club de Judo-Aikibudo de Charlebourg" responded to IJF's invitation and organised a special training where members were encouraged to invite a friend. 24 people attended including five friends some of which practice other martial arts such aikido or karate and came to be initiated to judo. A French version of the participation "diploma" was issued to all attendees. 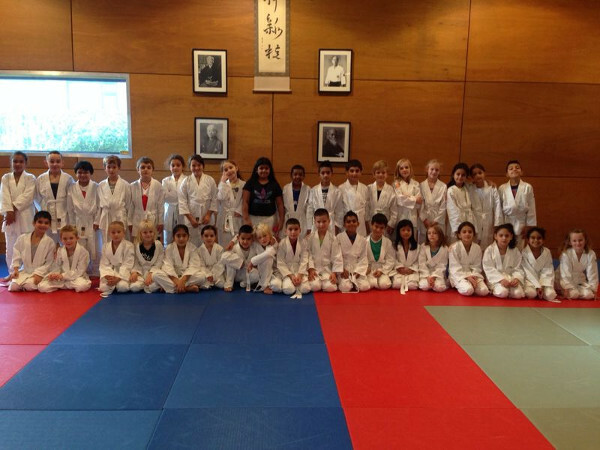 Judoclub Lu Gia Jen from The Hague organised special World Judo Day training lessons for over 300 judoka. 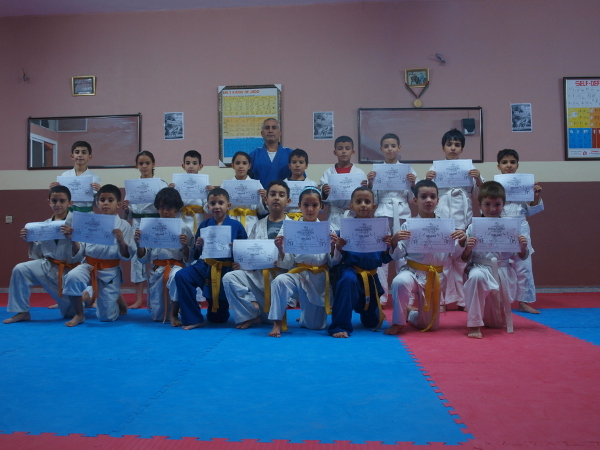 They all received a diploma for their participation and are looking forward to the next edition of the World Judo Day. 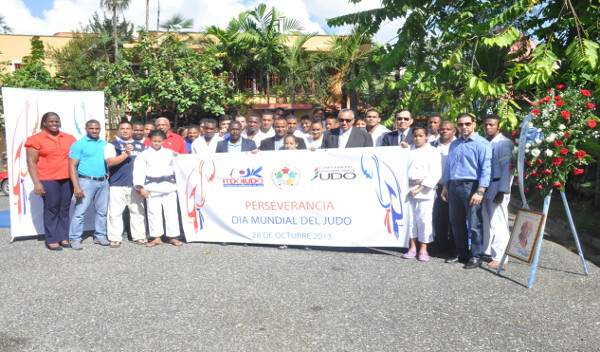 On the occasion of the celebration of World Judo, the Dominican Federation of Sport held a rally on the Jigoro Kano Street in the capital city of Santo Domingo. The activity included a wreath, and a display mode of nage no kata, performed by athletes Luisa Jimenez, Carolina de Jesus, Victor Jacinto and Wilfredo Aguilar. Officials in attendance included the president of Dominican Judo Federation Gilberto Garcia, President of Dominican Olympic Committee, Jose Daniel Figueroa Secretary, Ruddy Contreras Vocal and Gerardo Suero Vice sport minister. 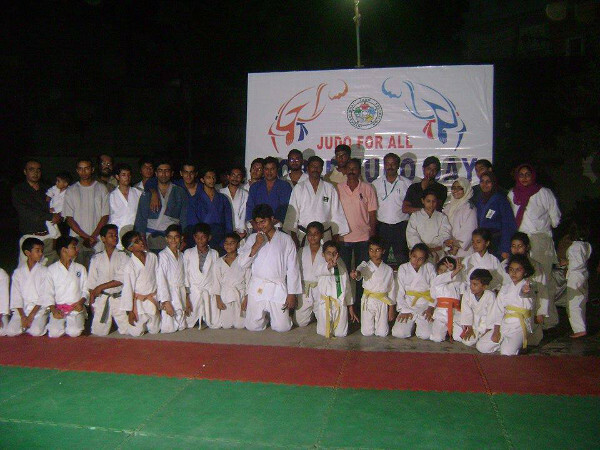 In Pakistan the World Judo Day celebrated with orphan kids of Guloona Kor. 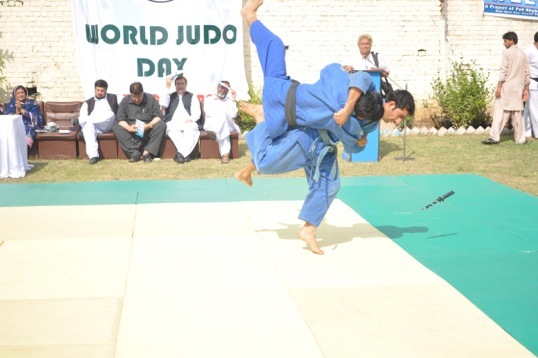 Pakistan has been ever-present in organising World Judo Activities since its launch in 2011. This year the Pakistan Judo Federation (PJF) worked with orphan children of the Guloona Kor (Flower House), who are left behind after their parents were killed in different bomb blasts in Khyber Pakthunkhwa and FATA. Senator Haji Ghulam Ali, PPP Central Leader and former MPA Azam Afridi, Director Sports Women Games Rashida Ghaznavi, Principal of Guloona Kor Miss Shagufta, and other guests joined male and female judoka to mark the day with the 40 registered orphan children of the Guloona Kor. Speaking on this occasion, Senator Haji Ghulam Ali lauded the efforts of PJF for celebrating the day among Orphan kids of Guloona Kor. He also lauded the efforts being put behind educating the children who are left behind after the tragic death of their parents in bomb blasts. He said we are duty bound to extend all out support to these kids to educate them and also provide them playing and entertaining atmosphere like we have for own kids. Earlier, Principal of the Kor Miss Shagufta said that initially they have find out 40 children and the Kor have capacity of 100 children for which they have all facilities like education, hostel, playing ground. She said the Guloona Kor is running on money dominated by the well-off people. The orphan children participated in a cake cutting ceremony with other guests to pay tribute to Jigoro Kano and the World Judo Day. 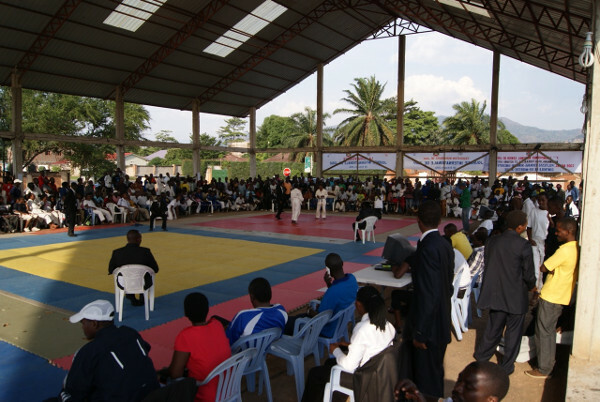 Burundi organised their seventh Senior National Championships in the national dojo for more than 200 competitors. In 2006, there were only 80 judoka in the country. 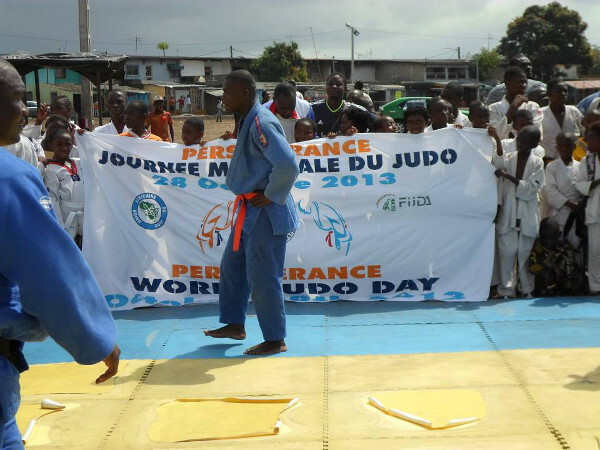 Valéry Manirakiza, the President, spearheaded the project and fantastic World Judo Day celebration. The dojo, which was built with the support of the IJF, is located in the city centre and the competition for the World Judo Day attracted a lot of media attention and spectators. 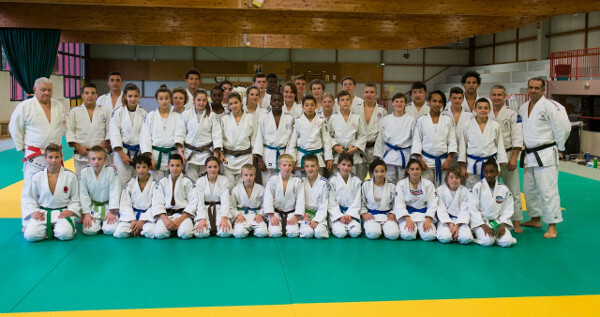 A World Judo Day activity was organised with the Group Alsace (regional cadets) in Strasbourg. IJF Media and Communications Director Nicolas Messner was there to explain the meaning of the World Judo Day and this year’s theme of Perseverance.